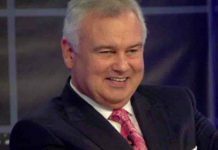 Eamonn Holmes ‘turns down’ Celebrity Big Brother’s staggering offer to join lineup! 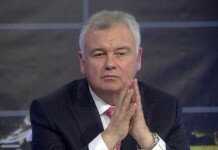 Channel 5 have reportedly offered Eamonn Holmes £800,000 to sign up for Celebrity Big Brother - Which he's declined. Celebrity Big Brother 2016: Eamonn Holmes set to enter? 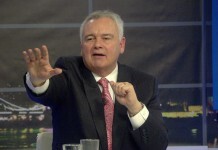 Telly presenter Eamonn Holmes has let it slip that he'll be entering the Celebrity Big Brother house. 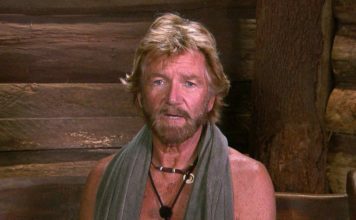 Eamonn Holmes covers Phillip Schofield as his brother was suddenly taken ill! Eamonn Holmes replaced Phillip Schofield on This Morning as he was rushed away because his brother was taken ill.
Celebrity Big Brother 2015: Eamonn Holmes and James Jordan enter the house for latest task ‘CBB News’! For today’s task, Housemates are taking part in Big Brother’s hard hitting news programme, CBB News, hosted by Eamonn Holmes and guest James Jordan.